Cabot Health is part of a company called Health Direction Pty Ltd., which manufactures specialist alternative health products that are based on top quality minerals, vitamins, herbs and amino acids. Quality, purity and stability are all tested to an extremely high standard and all Cabot Health products are made in Australia. These high quality health products are intended to help customers live life to the full without suffering the consequences. 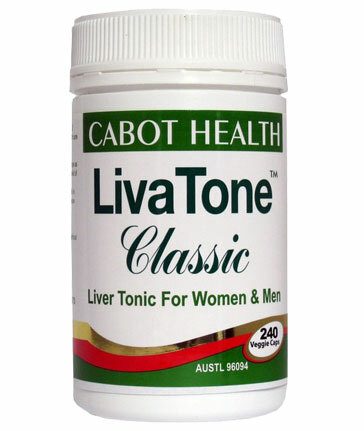 Cabot Health is endorsed by Dr. Sandra Cabot, a well-known medical doctor and healthcare specialist who won The Australian People’s Choice Award in 1997 for her popular book, The Liver Cleansing Diet. Dr. Sandra Cabot supplements are part of her drive to educate the public, including children, adults, and healthcare professionals, in how easy and important it is to keep up the levels of personal health through good nutrition and healthy lifestyles. Dr. Cabot strongly believes that many health issues today could be avoided, if only children were educated in the significance of living life healthily; if everyone worked to save the planet from pollution and the extinction of wildlife; and if the world’s population avoided the overuse of pharmaceutical drugs. Cabot Health promotes education and information about the best use of alternative, nutritional medicines, and assists with the creation of a well-informed, supportive community so that people can find the best healthcare for them. What health issues do Cabot Health Supplements help with? Cabot Health Supplements are potent nutritional medicines which have been designed with the goal of creating specific effects on the body. Some of the most popular products available include the LivaTone Classic and LivaTone Plus capsules. These may assist the liver, gallbladder and digestive system by using ingredients which have been traditionally included in liver tonics. The idea is that these products assist with the cleansing of the liver and other major organs, helping people lose weight and maintain a healthy lifestyle. Customers such as bodybuilders and extreme sports enthusiasts may find that Cabot Health Magnesium Complete complements the metabolic processes which their bodies go through during the day. This could assist with reducing or relieving cramps in the muscles, and may also help relieve anxiety, stress, and nervous tension. The powder form in which this nutritional medicine is produced is easy for the body to absorb quickly. Many of Cabot Health’s products are created to encourage people to lose weight, and the supplements may be able to assist customers with that goal.